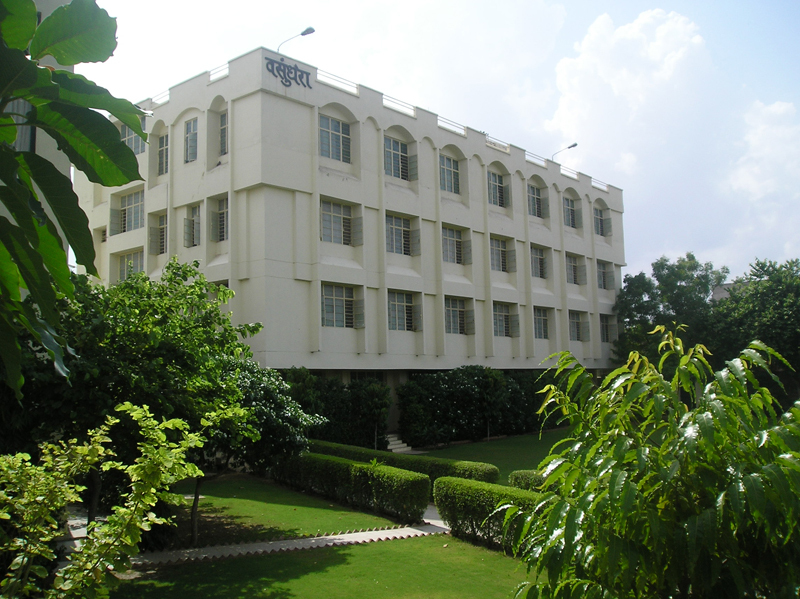 The girls hostel 'Vashundhara' of the campus can accommodate students. The hostel has a mix of double and triple occupany rooms that are fully furnished and are equipped with campus LAN and the Internet. The hostel mess offers multi-cuisine meals for students,staff and guests. The rooms have built in capacity to accommodate two, three and four students. Two lady wardens ensure smooth running of the hostel.The institute has family apartment facility although percentage of married students is negligible and in the last three years none of the students have opted for it. 3. Quality furniture (Table, Bed, Almirah & Chair). 4. Spacious & airy rooms. 5. Nutritious & hygienic food. 6. Good water and sanitation facilities. 8. Washing and drying clothes facility at each floor. 10. Sports and recreation facility. 11. Adequate security ensured through CCTV Cameras at the gate and hostel entrance.